In March, she bought a home for herself in St. Andrews Country Club close to where she used to live with her grandmother and grandfather, Evelyn and Herb Krickstein, who often accompany her on tour. She is the resident touring pro for St. Andrews CC. 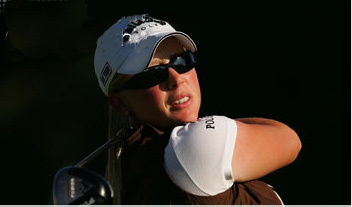 She turned pro in November 2006. See her bio, tournament results, and news articles.